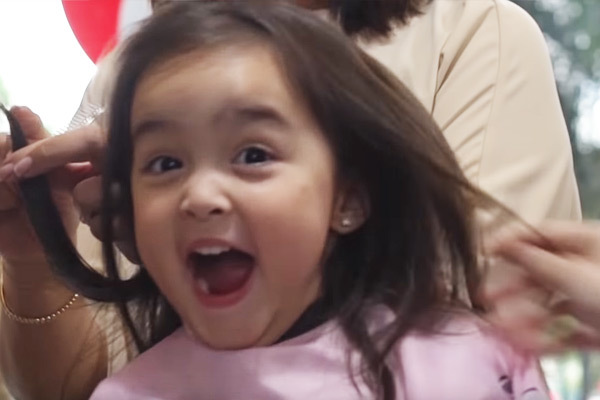 Marian Rivera and Dingdong Dantes reveal the energetic and kulit side of their daughter Zia in their latest vlog. 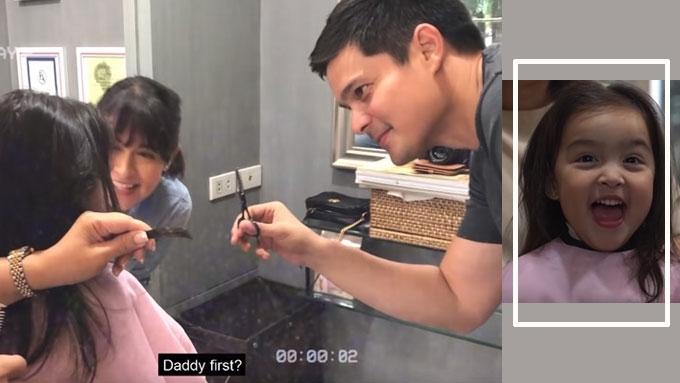 Zia Dantes was a ball of energy when Marian Rivera and Dingdong Dantes brought her to a salon for her first haircut. 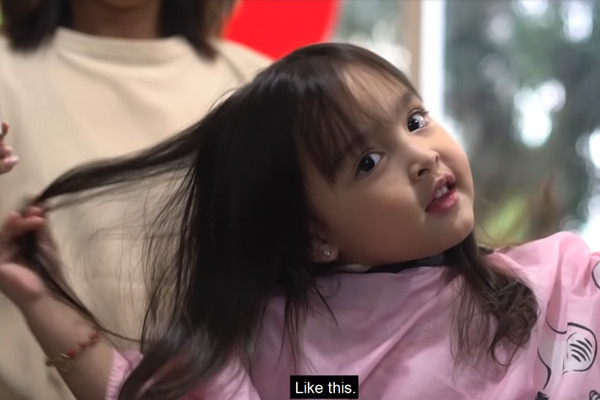 The three-year-old wanted to have bangs like her mommy, so her parents took her to Symmetria Salon, the hair salon owned by celebrity stylist Celeste Tuviera. 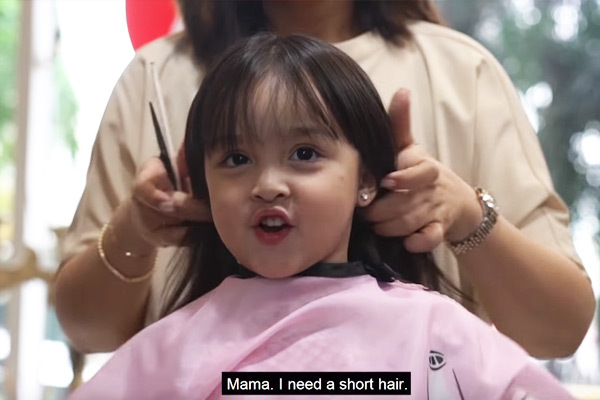 As her hair was about to be cut, Zia got so excited she shrieked out of sheer joy. 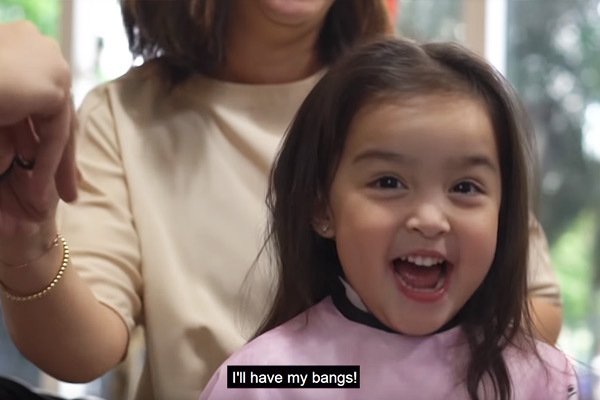 Celeste then gave the pair of scissors to Dingdong, who was going to make the first cut following the superstition that a child takes after the person who did her or his first haircut. So it was daddy who did the first snip, so Zia would grow up smart like him. Then Marian said, "Wag short."